Fall is in the air and pumpkins are everywhere. Pumpkins are more than a great fun, fall decoration and pie filling; they have many incredible health benefits. Pumpkin is high in beta-carotene, which has been shown to protect people from a variety of cancers and can also help to prevent heart disease. Pumpkin is a great source of fiber and is naturally low in calories. Pumpkins are a source of carotids, which create the orange color, prevent premature aging and heart disease. Pumpkin is loaded with zinc and vitamin C. Zinc has also been linked to reproductive health, promotes strong bones and boosts the immune system while vitamin C helps the immune system and encourages collagen production for skin to maintain it glow and elasticity. 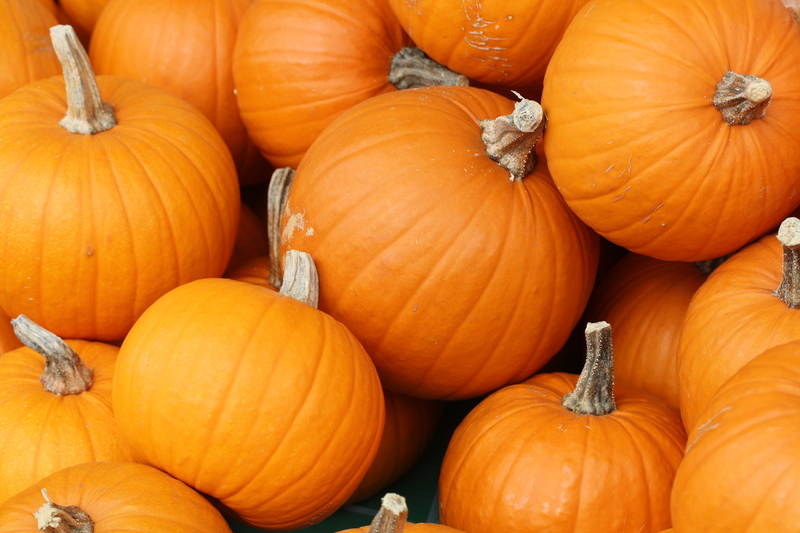 Pumpkins are high is vitamin A and can help protect the eyes from cataracts and degeneration. Pumpkin seeds help regulate cholesterol levels, protect against arthritis, promote healthy skin, and improve brain function because they are high in protein and plant based fatty acids. Pumpkin pulp and the seeds are rich in magnesium, promoting bone and tooth health. Pumpkin seeds are rich in the amino acid tryptophan, an amino acid that is important in production of serotonin, one of the major players when it comes to our mood. Give these healthy pumpkin recipes a try to spice up your fall!